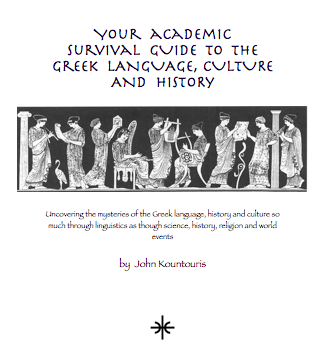 This book is a comprehensive tutoring guide to the Ancient Greek language for Greek seminary students. It also covers the Greek culture and history from ancient times. The first section is easy to understand lessons on ancient Greek with an exciting study on the numerological aspect of Greek as well. It get’s into new, exciting research and findings on the Greek figures (Socrates, Plato and more) of ancient Greece who clearly predicted the coming of the “God-man” to the Earth to save man-kind all of which are clear pre-figurings of Christ and Christianity. 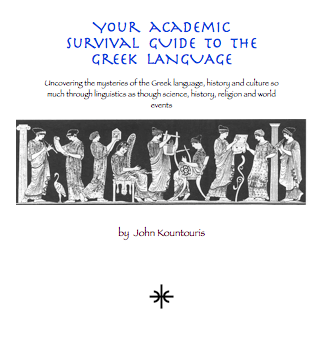 It also reveals the true origins of the Greek language over and against other languages (i.e. Hebrew, Phoenecian and more) which will demonstrate the superiority of the Greek langauge– and we have all the latest archeological evidence to back this up! This book covers the key necessary elements of Koine Greek in a way that makes them easy to understand for Greek seminary students stuggling in Greek class. We have charts, graphs and simple-to-understand examples of Greek which make the learning process of the student more productive and efficient. 25$ Donation for the super extended guide. 15$ Donation for the basic survival guide. We will email the Guide to you upon donation! Thanks to all for your Wonderful Support in our Mission to Expand the Awareness of the Greek Culture. Welcome to John Kountoris's Greek to English and English to Greek translation website. We specialize in Greek Tutoring, Teaching, Transalation, Subtitling, and Interpretation. In addition we love to teach and tutor in Greek to English and English to Greek in legal contracts, Block Buster movie subtitling, court reporting interpreting and a wide range of needs including helping seminary students in their Biblical Greek and Grammer Understanding of Ancient and Scholar applications of Greek and Ancient Greek. We specialize in modern, Koine and Attic Greek. 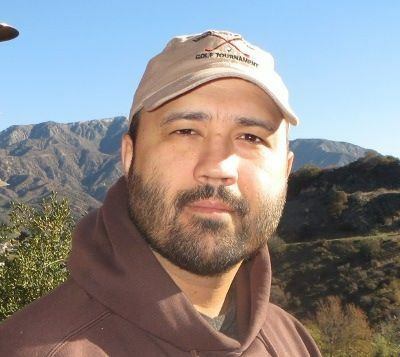 Hello Everyone, I am John Kountouris. We love Greek culture, language and people. We have a great passion for translating, interpreting and working on books, documents and films to bring a greater awareness of the wonderful Greek people, culture and language to the world. Call me and I will help you translate your Greek content today..
Our master Greek / English translator, interpreter, teacher, subtitler, and all around great guy. Greek English Translation Serverics Fill out form so we can contact you about your translation needs.